By the author of Things No One Will Tell Fat Girls and a heroine of the body image movement, an intimate, gutsy memoir about being a fat womanJes Baker burst onto the body positivity scene when she created her own ads mocking Abercrombie & Fitch for discriminating against all body types—a move that landed her on the Today Show and garnered a loyal following for her raw, honest, and attitude-filled blog missives. Building on the manifesta power of Things, this memoir goes deeply into Jes's inner life, from growing up a fat girl to dating while fat. With material that will have readers laughing and crying along with Jes's experience, this new book is a natural fit with her irreverent, open-book style. 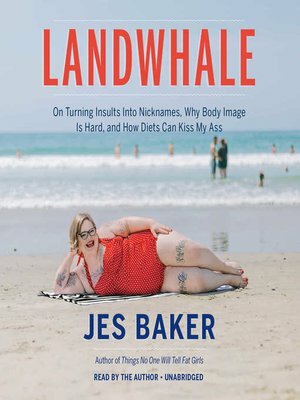 A deeply personal take, Landwhale is a glimpse at life as a fat woman today, but it's also a reflection of the unforgiving ways our culture still treats fatness, all with Jes's biting voice as the guide.